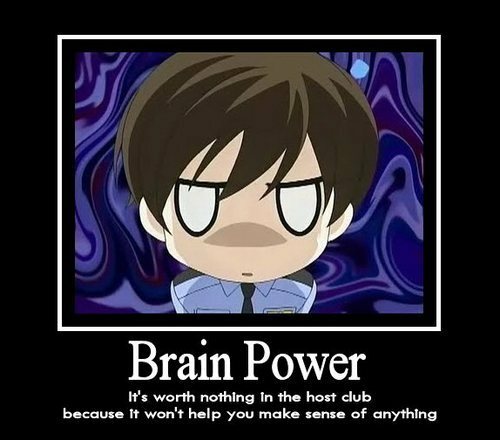 OHSHC Motivational Posters. . Wallpaper and background images in the ঔরান হাইস্কুল হোস্ট ক্লাব club tagged: ouran host club high school ohshc motivational posters anime funny. This ঔরান হাইস্কুল হোস্ট ক্লাব fan art contains নকল মানুষের, কমিক বই, কমিকস, and কার্টুন. There might also be ভেন ডায়াগ্রাম and ভেন এর ডায়াগ্রাম. I agree. The only time someone thinks is when they're scheming to hey Haruhi to like them or something. I don't think I'v seen anything more true.